This one has a whole bunch of fixes and tweaks to a lot of random parts of the game, first of all. There’s also quite a bit of minor polish that has been applied, which will hopefully make the experience smoother both for experienced and for new players alike. The first big thing in this release is that falling damage is back — but in a much tamer form than before. If you leap off a really tall building or down a giant hole, expect to take some damage. This seems in keeping with the general feel and tone of the game at this point, but it’s a tame enough amount of damage that slight missteps aren’t going to result in character deaths. Details can be found in the release notes, but I think that even folks who normally groan at falling damage (which I often do myself) should be pleased with how this worked out. The really big change in this version is the skies. After much polling and discussion, we decided to get rid of the dynamic skies that were previously being provided by Unisky. It was a cool system, but tended to be too homogeneous and way too load-heavy. Such a small percentage of our players could use it, and it was holding us back from doing some things like having the amount of daylight hours vary by season, etc. So now we’re down to just one model for skies, based on what were previously called “static” skies. But I think you’ll find that the new skies are anything but static — we have animated suns and moons, we have all sorts of cloud motion, we have sunsets and sunrises with the stars coming out at night through the clouds (most of the time) and all sorts of things. It’s a vastly simpler system for generating these skies, and so you won’t see the crazy roiling stuff you used to with dynamic skies, but if you look at the game as a whole — between different time periods and regions — the skies are actually a lot more varied and unique now than they were in the old dynamic skies system (which had a lot of unique effects, but the effects were very similar between all regions). And best of all, this new system of animated skies should run on pretty much anything. If anyone has problems with the animation load causing their framerate to be too low, let me know and I can put in options to turn that down. But the load is low enough that that should be necessary for a very tiny minority of our players (if any) as opposed to 80% or more (based on my best estimate) being unable to run dynamic skies at a decent framerate before. Keith has been hard at work on guardian powers and secret missions, by the way. But there are some parts that I was supposed to tend to that I didn’t have time for yet, and so those aren’t actually in this release. The next release should have both of those, and will hopefully be out tomorrow night at the latest. 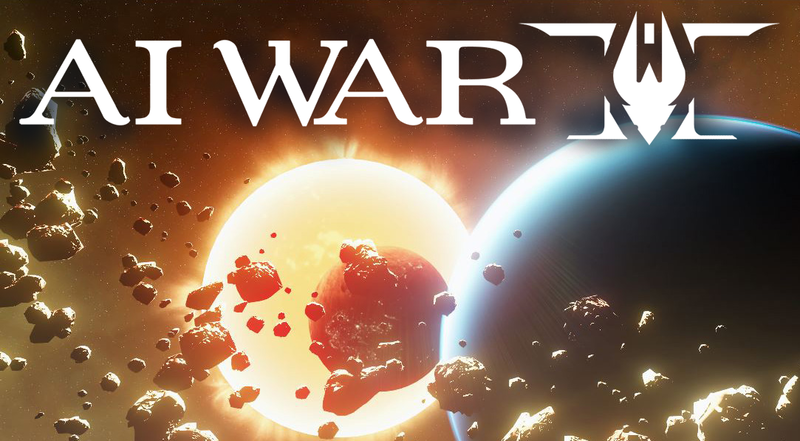 « AI War Beta 5.023, “Plasma Siege Starships,” Released!